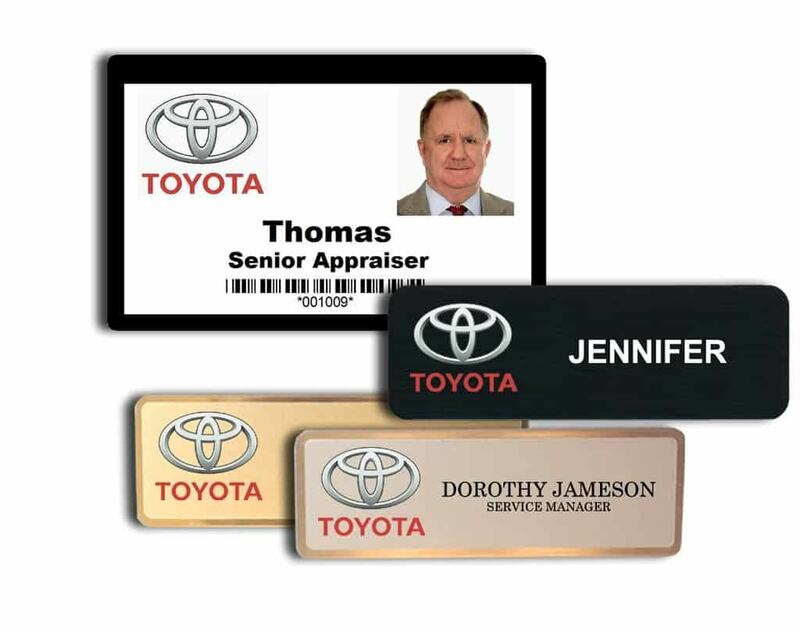 Toyota Name Tags and Badges. We can work with your current design or help modify a new style. Many options and badge holders to select from. Name-badges.com Inc. since 1993.